A look back at last football season for this team and the question that lingers is: What would have happened had Calvin Johnson’s 4th quarter touchdown stood in week 1 at Chicago? 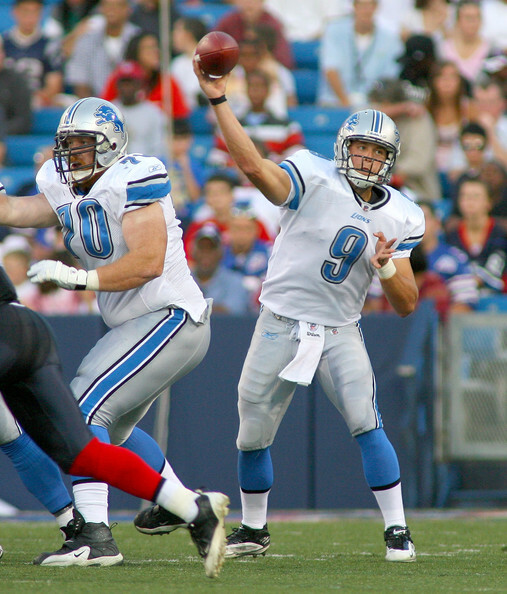 Would that early season win served as a launching pad for the 2010 Lions? After a season in which the Lions made strides on both sides of the ball, they came through with the best draft in all of pro football. The coup to land Auburn DT Nick Fairley to team with Ndamukong Suh and Kyle Vanden Bosch sent shockwaves throughout the league. Fellow draft picks Titus Young, an explosive receiver from Boise St., and tough RB Mike Leshoure give the Lions three picks that should contribute immediately. This is a spirited young team that learned it could be competitive and they are growing before our eyes. Circled is the week 5 matchup where they host Chicago with their first Monday Night game in many years. Will this matchup with Chicago serve as a launching pad? Quarterback: The key to the Lions playoff push is the health of Matthew Stafford. He’s shown improvement and earned a degree of respect from his team when he came in with a separated shoulder to throw for the winning score against Cleveland. Yet he has shown a penchant for injury and this is the year he has to develop over a complete season to justify his #1 pick and fulfill expectations. Last year Stafford only started 3 games, yet he threw for 6 TDs and only 1 int. He was more relaxed in the pocket and looked like a solid leader. His team needs to grow with him during the season for the Lions to take that next step. In Stafford’s absence, Shaun Hill and Drew Stanton played solidly with Hill starting 10 games and Stanton 3. Hill actually had the highest completion percentage of the three QBs with 61.8% while throwing for 16TDs to 12 interceptions. Yet at 30 yrs of age, this is the zenith of what we can expect from him. He’s a serviceable backup who can step in. However it was when Drew Stanton (formerly of Michigan St) played that the team seemed to show real spirit. His mobility was showcased when the pocket breaks down running for 118 yards and 1 TD. In fact of the 6 wins in 2010: 3 happened when Hill started, 1 with Stafford, and 2 with Stanton. Stanton’s growth completing 58% of his passes for 4TDs to 3ints, while being 5 years younger, could make Hill trade bait. We saw how Lions players rallied around him when he played. The quarterback position is average yet growing in Motown. Offensive Backfield: Last year’s selection of Jahvid Best turned out to be a good one. Not for last year’s rushing performance (555yds / 3.2 avg.) but for his receiving totals. His 58 receptions for 487 yards out of the backfield included a 75 yard touchdown. Thats a whopping 8.4 yards per reception. He isn’t an every down back and his average shows he is best as a change of pace back. Once he doesn’t take a starter’s pounding, he will be that much more explosive out of the backfield. Maurice Morris is more solid between the tackles yet lacks homerun punch. His rushing average of 3.7 was stronger than Best’s but again showcases he is a ball carrier, not a top shelf runner that can make things happen. Morris is better suited as a backup. Receivers: Entering his 5th year, Calvin “Megatron” Johnson is in his prime and was the Lions lone offensive pro bowl performer in 2011. His 77 receptions for 1,120 yards for 12 TDs ranked him in the top 20 in all 3 categories. His 12 TDs receiving was second in the league. This was enough for his peers to vote him into the Pro Bowl with a top tier performance while working with multiple quarterbacks. With a healthy Stafford all year, it would be easy to see his numbers grow to 90 -100 receptions for 1,500 yards, he’s that talented! At 6’6 and 235 lbs. while running a sub 4.4 / 40, he is as lethal a receiver that has come into the NFL since Randy Moss in 1998. Up until now he has needed some help. Even “Megatron” has to have a “Starscream.” That help may have arrived with the Lions second pick in Boise St’s WR Titus Young. A 5’11, 175 lbs. burner with 4.3 / 40 speed, he should add further vertical explosion to an offense to dependent on Johnson making the big play in the passing game. Nate Burleson is a good intermediate receiver and has been serviceable; Young gives Detroit the home run threat on both sides. This should be Detroit’s best 1-2 punch at receiver since Herman Moore and Brett Perriman (twin 100 reception receivers in 1995). This team could be the NFC’s most explosive offense fielding 3 weapons with 4.3 speed in Johnson, Best, and Young. Look out! Titus also is an excellent kick returner. 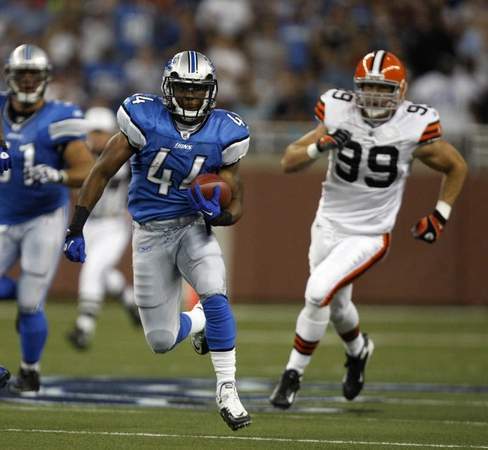 Rounding out Detroit’s receiving corp. is the prize of the 2009 draft in Oklahoma St’s Brandon Pettigrew. (Tim Evans) Last year the big tight end made strides in his play, doubling his catch totals, receiving yards and touchdowns. Oh, you wanted numbers…well he caught 71 passes for 722 yards and caught 4 touchdowns. Pettigrew can stretch the middle and is a mismatch for linebackers and at 6’5, 257 lbs. is growing into too much man for most strong safeties. With all this speed and the three main receivers having 5 years or less service, the NFC North had better draft some secondary speed. Stafford stays healthy and develops over a season with this group, team passing records could fall. At receiver this team could be frightening. Receiver in Detroit is good with a chance to be beyond pro bowl caliber as a group. Offensive Line: This team needs more punch on the right side. RG Stephen Peterman and RT Gosder Cherilus only led to 20 rushing first downs and had 23 negative running plays. On the strong side with a right handed quarterback? Those need to be dramatically improved and this team ran a lot of draws and counters to offset that weakness. Now running to the weakside produced 46 1st downs, over 24 rushing plays that gained 10 or more yards and anchored the quarterback protection. Those rushing totals need to be reversed as the team was 23rd in rushing with 1,613 yards and only had 11TDs. They need Leshoure to come through to aid here. Although Matt Stafford has been knocked from action on several occasions, this OLine has actually given up the 6th fewest sacks last year with 27. Detroit QBs were hit on 64 different drop backs which ranked 10th. This may be where the move to a more mobile Drew Stanton to the second string position at QB could prove beneficial if Stafford is to go down for any significant time. The offensive line is slightly above average but needs to improve driving teams off the ball. They could use a free agent acquisition to provide some competition on the right side. 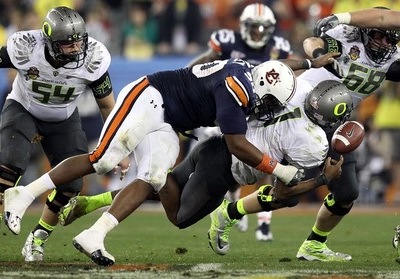 Defensive Line: By far the surprise of the 2011 draft was landing Auburn DT Nick Fairley. You could feel the collective gasp of the NFL when the selection was announced in Radio City Music Hall. The realization that Fairley, who should have went #1 or at least top 5, fell to a team who fielded arguably the best rookie defensive lineman in NFL history in Ndamukong Suh. Wow! 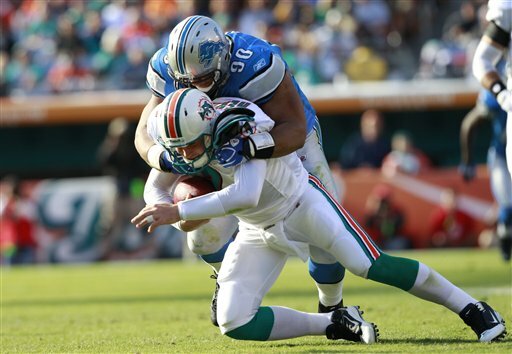 All Suh did was amass 66 tackles, had 1 interception, and forced a fumble with his 10 sacks. At defensive tackle? Yikes! He was runaway NFL Defensive Rookie of the Year and a Pro Bowl starter. His motor and attitude was just what the Lions need to make a turnaround and should rub off positively on Fairley. When we last saw Fairley, he was busy wreaking havoc in the Oregon backfield during the Tostitos National Championship Game. He was the most dominant player on the field in that game and next to Heisman winner Cam Newton was the best player in the SEC. He plays with the perfect degree of nastiness in a defensive player, right on the edge. While it has led to a few penalties, it’s also led to him completely taking over games. His experience in playing at a high level in big games like the SEC Championship and National Championship Games will go a long way in the overall maturation of a Lions team trying to achieve the playoffs. Along with the added incentive of wanting to play hard against the teams that didn’t select him, his maturing, and having the perfect running mate in Suh, should terrorize the NFC North for the next 5-7 years easy barring injury. Forgotten in this mix is the leadership and toughness of returning DE Kyle Vanden Bosch. He may turn into a double digit sack performer with so much attention on the twin DTs. In 11 games last year he only had 33 tackles and 4 sacks. Bosch is a work out fiend who should come into this season in terrific shape, thanks to the lockout extending time where his 32 yr old body won’t have to take hits through the summer. Other quarterback hunters on the team totaled 19.5 sacks with LDE Cliff Avril leading the way with 8.5 despite missing 3 games. The Lions amassed a mind boggling 44 sacks, which ranked 6th in the NFL, a tremendous amount for a team that rarely held leads. They should improve on their rankings of 21st on defense, 24th against the run starting with this young defensive line. NFC North, watch out! With Suh in year 2, Fairley in year 1, and Avril in year 3, they will only improve. Defensive line is superior with the Lions. Linebackers: This is where a free agent pick up could go a long way to make this a top ten defense. Play here is steady but not spectacular. Julian Peterson last year was 2nd on the team with 57 tackles yet didn’t force a fumble or intercept a pass. That isn’t enough with that much pressure being generated up front. MLB DeAndre Levy, who missed 5 games, combined with his backup Ashley Palmer for 83 tackles. Levy did pick off 2 passes and Palmer forced 3 fumbles, so they have made some plays. Sam linebacker Landon Johnson was 11th on the team in tackles behind ALL of Detroit’s secondary? Terrible! At the strong side he has to shed blocks of the TE and make more plays than that. Olsen in Chicago, Shiancoe in Minnesota, and JerMichael Finley in Green Bay are more pass receiving tight ends than massive blockers and he has to play better. This group needs help on the outside and needs to make plays. Maybe the addition of 5th round pick Douglas Hogue can help. Linebacker is below average and this lockout could keep the Lions from getting that key free agent acquisition. Secondary: Louis Delmas at FS led the Lions in tackles with 62 tackles and 2 forced fumbles yet didn’t intercept a pass all year…all year! With that much pressure up front? Clearly his ball hawking skills have to improve. Going into his 3rd year he has to show improvement against the pass or they should move him to SS since he is willing to tackle. SS Amari Spivey should have made a higher amount of tackles than 33 yet we will attribute that to being a rookie. He did have 2 interceptions on the season which ranked 2nd on the team. First on the team was CB Alphonso Smith with 5, yet the other corners, Chris Houston, and Nathan Vasher, only had 1 a piece. Part of this problem is the defense is playing too much cover 2 zone and need to mix their coverages more. 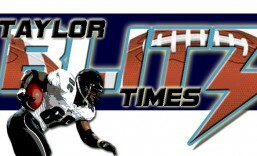 Although one of their better performances came in the late season upset of the Green Bay Packers in week 14. They held the Super Bowl champions to only 3 points while smothering Aaron Rodgers targets. Youthful and with some improvement could get another 10 interceptions across the board. Secondary is slightly below average. Overall: This team is coming in with a 4 game winning streak to end the season. It started with the upset of the Packers and then the 10 win Buccaneers. They proved to themselves that they can play with anyone and with the new additions should win 10 games in the upcoming season. With Minnesota in flux after the retirement of Brett Favre and the Bears not really improving their offense, this is the year the Lions should find their way to the postseason. This roster is youthful and improvement should come from many positions. First off they are playing with a tremendous chip on their shoulder where Titus Young’s underdog Boise St attitude, and Nick Fairley’s wanting to “show other teams what they passed on” attitude will further foster. The excitement that this team finished with has only heightened with a great draft. In the free agency era the formula for a team rising from the ashes starts with a good finish the year before. Notably the ’98 Falcons finishing 6-2 in ‘97 before a surprise Super Bowl run, ’99 Ravens finishing 6-2 before a Super Bowl run in ‘00, and the ’03 Bengals finishing 7-4 before a playoff run in ’04, and even the “99 Eagles winning their last two games includng a victory over the eventual champion St. Louis Rams. (just to name a few) . This team can see that type of turnaround with a little bit of luck. That week 5 Monday Night Game hosting Chicago should be a coming out party. The league had better get ready. This entry was posted in 2011 Team Previews and tagged Detroit Lions, football, NFL, nfl football players, pro football. Bookmark the permalink. When did the Lion’s draft Brandon Pettigrew’s little brother?